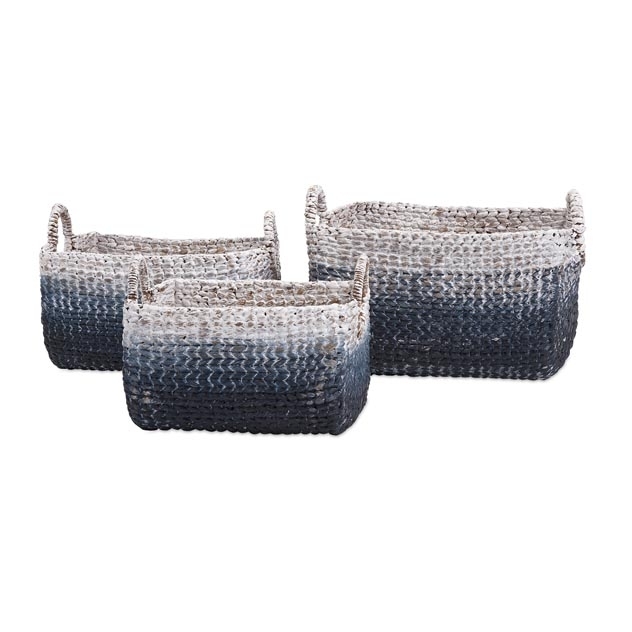 Set of 3 cascade woven baskets that are made from water hyacinth. 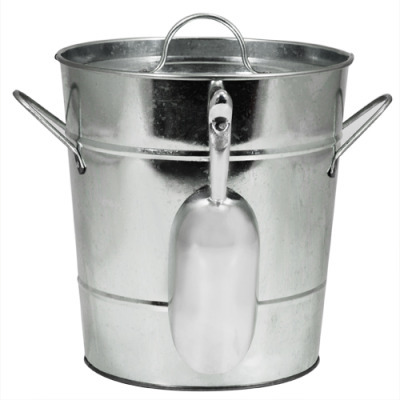 Provides stylish, shapely storage for newspapers, magazines, blankets, and more. Made using quality materials, these creations promise to last in pristine condition for years to come. Versatile and well crafted, use the baskets as display items in your bedroom or the living room, and for keeping various things in them. They will give a distinctive feel to the space they are kept in. SKU: 11601-3. Categories: Baskets & Trays, Country, On the Sound, Spring, Summer. Baskets are an important part of everyday life. This is a set of 3 cascade woven baskets that are made from water hyacinth. Made using quality materials, these creations promise to last in pristine condition for years to come. An ecologically responsible alternative to wicker and rattan, water hyacinth is soft and smooth to the touch, making for an especially comfortable, hand woven basket. They have beautiful colors that will sooth the soul. 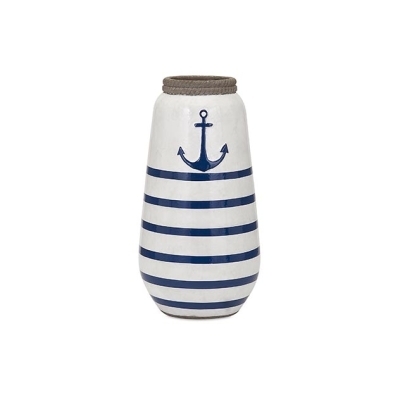 This one is wrapped in a band of ocean blue for stylish shapely storage.Versatile and well crafted, use the baskets as display items in your bedroom or the living room, and for keeping various things in them. They will give a distinctive feel to the space they are kept in.